Enhance your YouTube marketing success and raise your credibility by increasing your view count today! You will receive super fast, guaranteed, over-delivered views from real people at speeds of 2,000 to 5,000 per day! Always Deliver More than Ordered! The Easiest Way to go from Zero to Hero! 100% Real People: Only real people view your videos, no bots! Unfreeze Your View Count: Ever notice your view count freeze for 2-5 weeks somewhere in the 300s? That’s very common and simply needs a boost to unfreeze it. Our views will unfreeze your video’s view count within 24-48 hours! Increase YouTube Search Engine Rankings: One of YouTube’s primary calculations for ranking videos in their search engine is the number of views your video has received. Increase your views helps to quickly increase your YouTube search engine rankings! Increase Google Search Engine Rankings: Google owns YouTube and likes to promote YouTube videos in their search engine results. Increasing your View Count tells Google your video is popular and quickly helps to increase your Google search engine rankings! Excellent Customer Service! You can always feel comfortable when placing an order with us. We pride ourselves on providing top-notch customer service and always return messages within 24 hours or less. We want you to be happy with our services so it is our duty to make that happen! 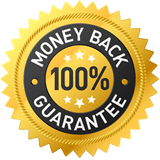 If for any reason your views never get delivered, we will offer you a 100% money back guarantee. No questions asked. However, we ALWAYS DELIVER and you WILL GET MORE THAN YOU ORDERED! Are your Views real? Yes, our Premium & Extreme YouTube Views are 100% real, from 100% real people! Will your Views unfreeze my video? If your video is frozen in the 300s, purchasing even the minimum order quantity (2,500 views) will unfreeze your video within 24-48 hours. Many members use our service on a regular basis just to quickly unfreeze their videos because waiting 2-4 weeks (in most cases) for their video to unfreeze can be very frustrating. How long does it take for my video to start gaining views? You will start seeing results within 24-72 hours, depending on whether you bought Premium or Extreme Views. YouTube alone takes 24-48 hours to properly update their View Counts so this is the main cause for the 1-3 day duration to start seeing results. What is the minimum number of views I can order for a video? The minimum order quantity is 2,500 views per video for a “Premium Views” purchase and 5,000 views per video for an “Extreme Views” purchase. Really guys, this stuff is real. ive got so many views on my videos from this website. i pay for 5000 views and get like 90,000 & 100,000+ views on my video. Its really worth the money. Help this channel out by telling people about them! Response: Thank you for your review! We will not always over deliver to that magnitude, but we do always over deliver! I paid for 20,000 views and recieved 125,000 views and saw my video on the front page of youtube! Wow, easy way to get real people to watch your YouTube videos...no bots, 100% real people...AWESOME! This really works i got 1000 views in just one day. It's amazing you guys. I paid for 10.000 views and I got almost double in just ONE day. I really like this service! but I don't have a credit card, so I ask my mom if she could buy it for me, and I pay her back. But can you reduce some prices for the views and subscribers? my mom is getting a bit annoyed about how much it is. Thanks! I am def a fan of this site! Got 25,000 views so far on day 2. 100+ subscribers/likes. Cant complain! Check my page out: BD's WORLD! © 2012 View2.be. All rights reserved.